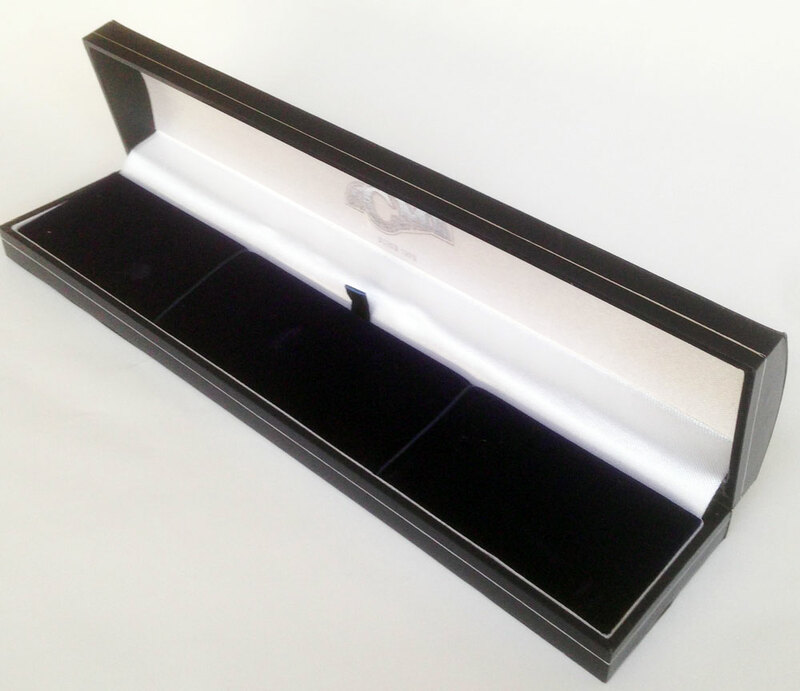 Presentation gift box. Navy blue outside and white satin and blue velvet lining. These make excellent presentation gifts.